Creator Description: I like the flexible feel of the Corum Basses, paired with the dark, round sound of the Hannabach treble strings. I also like using a higher tension 6th string, because it seems like that's the only string I ever overplay. The high tension sixth string allows me to hit it hard if I want, without ugliness. Quality product and quality service! 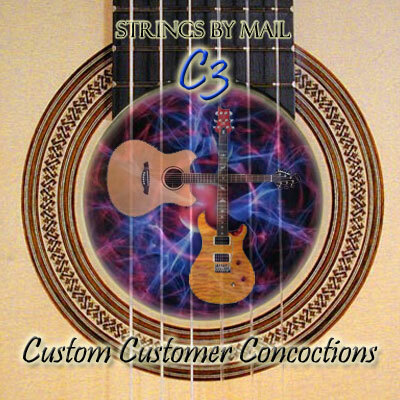 Did I mention "fair pricing", I highly recommend Strings By Mail.